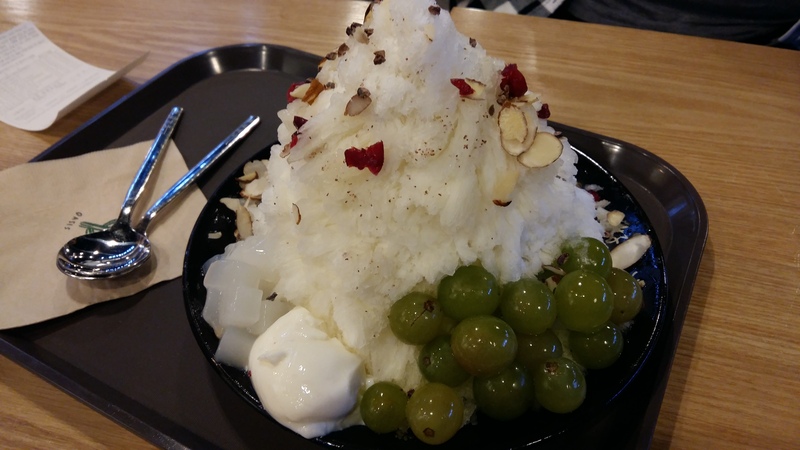 For more bingsu, click here. 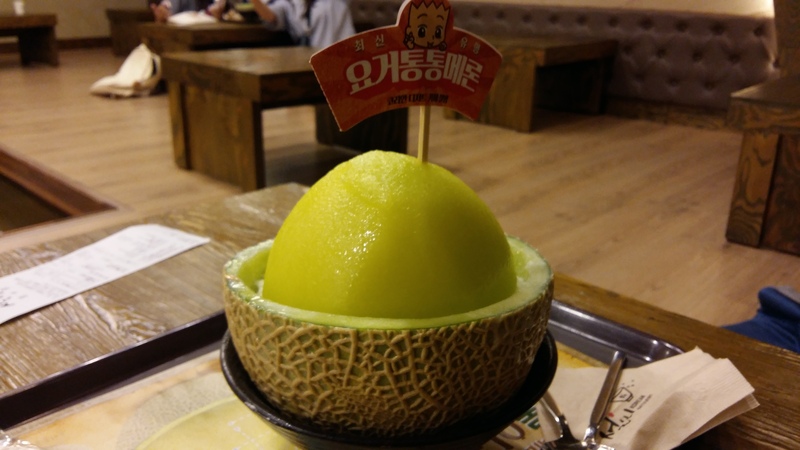 Which one do you want to try? 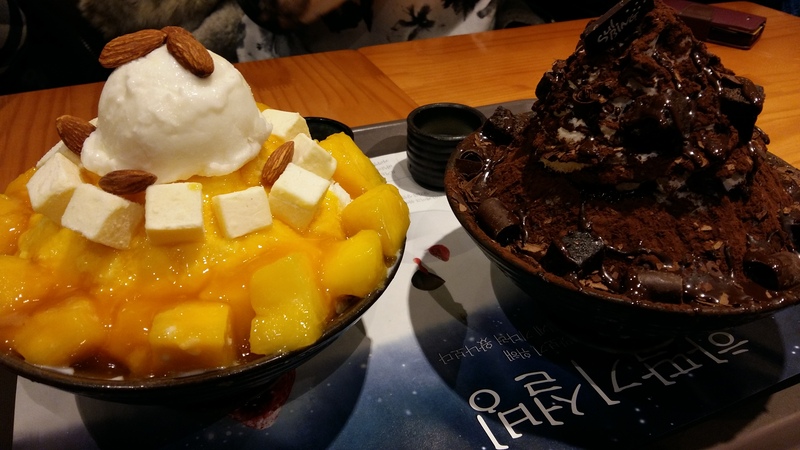 This entry was posted in Food, Korea, Travel and tagged almond, bingsoo, bingsu, blueberry, brownie, cheesecake, chocolate, cranberry, dessert, dining, food, fruit, grape, ice cream, jelly, juice, Myeongdong, patbingsu, shave ice, sulbing, Wangsimni Station on November 5, 2016 by screamfmlondon. 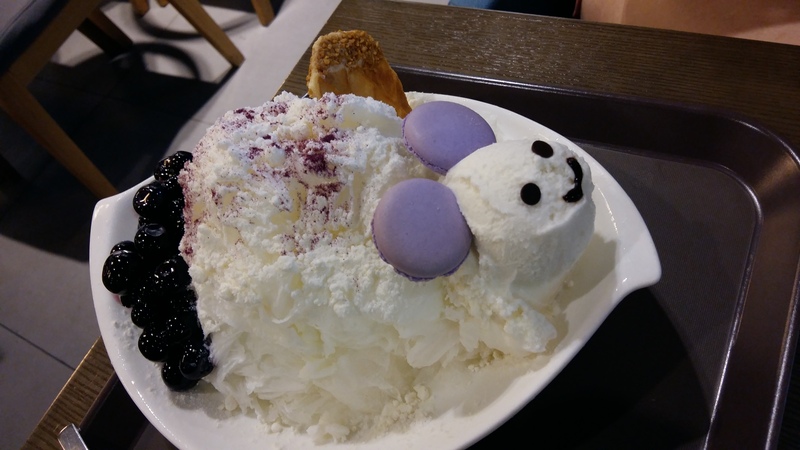 This entry was posted in Food, Korea, Travel and tagged bingsoo, bingsu, blueberry, cafe, Caffè Bene, Caffé Tiamo, candy, cheese, cheesecake, chocolate, cotton candy, dessert, dining, food, ice cream, korea, macarons, mango, patbingsu, pop rocks, red bean, shave ice, south korea, sulbing, travel on February 4, 2016 by screamfmlondon. Crêpes are big in Tokyo, and there are about a million crêperies along Takeshita Street, one of Harajuku’s most popular pedestrian-only shopping streets. The foot traffic on Takeshita is so intense that there’s little room for actual movement, so the small restaurants and side streets are essential for a quick escape from the crowds. Angels Heart is a crêperie located on the corner of one such side street, which provides a nice reprieve from the chaos of the main drag. There was periodically a line, but it went quite quickly. Angels Heart serves a variety of freshly-made crêpes (both sweet and savory) with your choice of fillings. 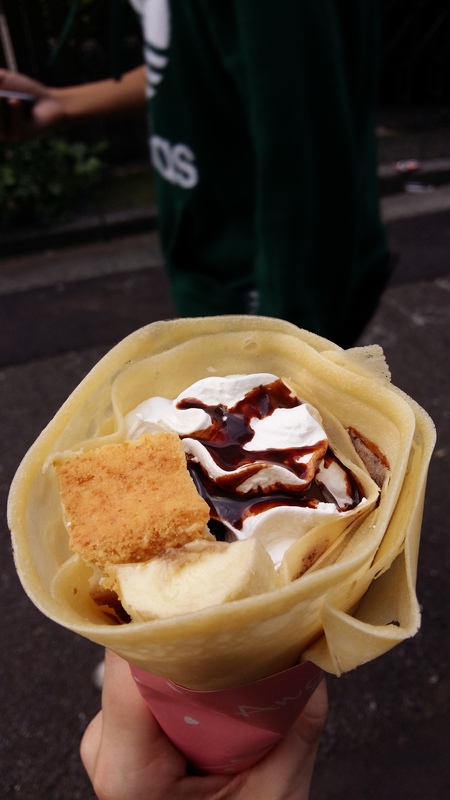 The girl in front of me definitely ordered some sort of leafy green crêpe filling, but I went with banana, chocolate and cheesecake for around 500 JPY. 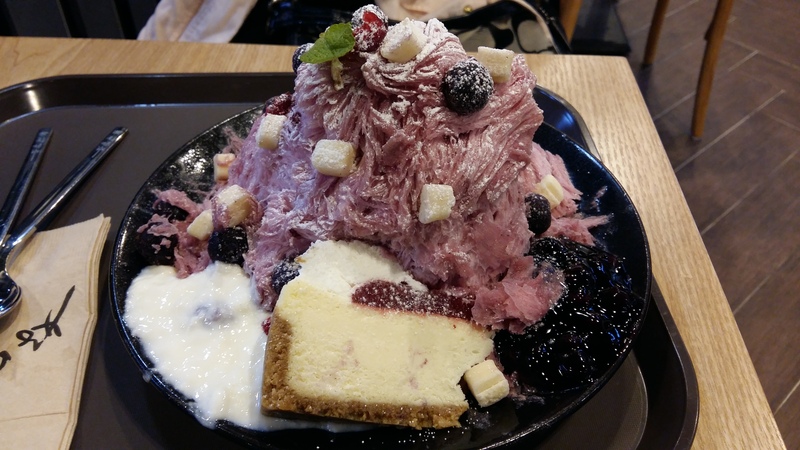 It was prepared quickly and served wrapped in a sturdy, pink paper cone. The entire side street is lined with people chillin’, eatin’ crêpes, and I was happy to join them. The street is on a slight incline, so it provides a good vantage point from which you can do some great people-watching. 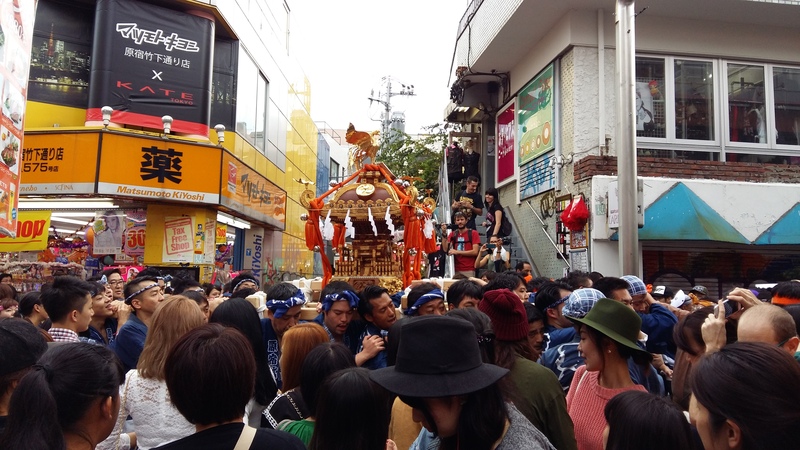 While I was hanging out, I heard lots of shouting and clanging coming from the main street as several groups of men dressed in short robes pushed their way through the shoppers carrying some sorts of altars on their shoulders. I assume it had something to do with the Mid-Autumn Festival, Tsukimi, that was going on around the same time as the lunar eclipse during the last week of September. At any rate, the crêpe was delicious: the slice of cheesecake was solid, the chocolate syrup was plentiful, the whipped cream was cool while the crêpe itself was warm. What more do you need? 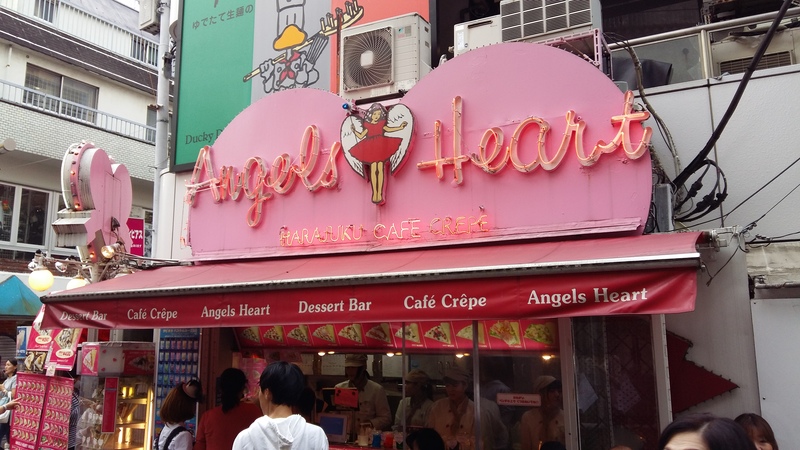 Angels Heart is a sweet spot to stop by when you become overwhelmed by the crowds in Harajuku. This entry was posted in Food, Japan, Tokyo, Travel and tagged angels heart, breakfast, brunch, cheesecake, crepes, dessert, food, Harajuku, japan, japanese food, lunar eclipse, Mid-Autumn Festival, restaurant review, restaurants, shopping, street food, Takeshita Street, tokyo, travel, Tsukimi on October 8, 2015 by screamfmlondon. Aside from Los Angeles being cool in itself, there are a million cool places accessible for a weekend getaway. I headed up to Santa Barbara for a few days to do what I do best: shopping, eating delicious things and going to museums while everybody else is at the beach. 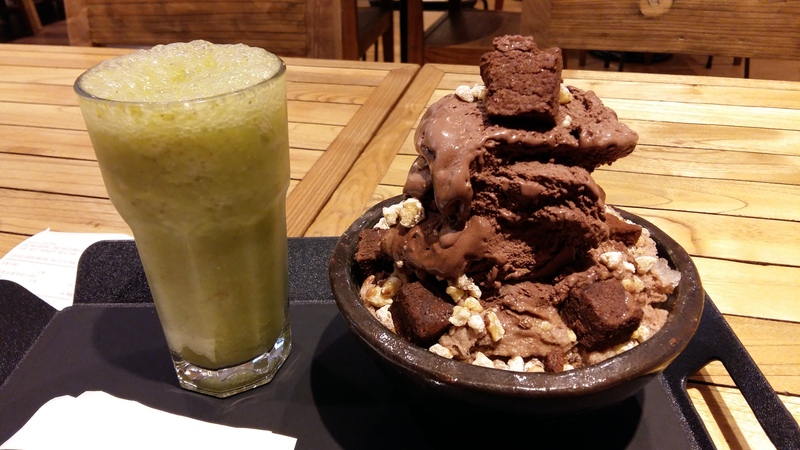 One of our favorite dining spots turned out to be the Cielito Restaurant. Cielito was awesome. It’s set back from State Street in a little courtyard with a little fountain full of little turtles. Very atmospheric. 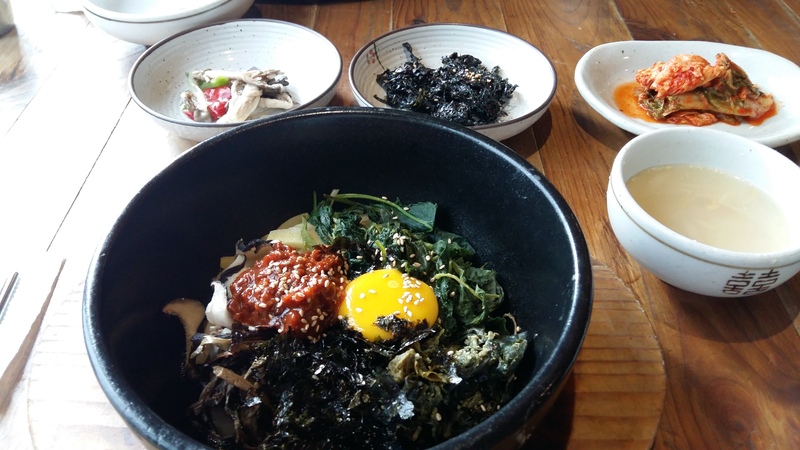 The vibe is super relaxing, the food is super flavorful, and the entire staff is super attractive. Nice work, Cielito. 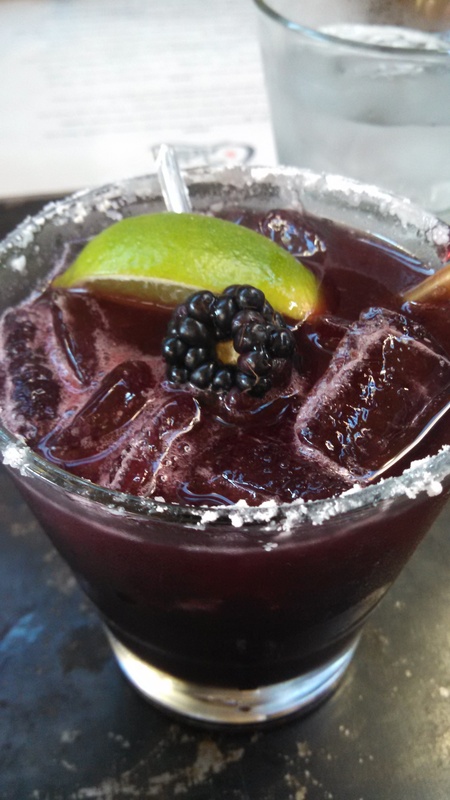 I started with the blackberry margarita ($13), which is Peligroso Blanco Tequila, Leopold’s Rocky Mountain Blackberry liqueur and fresh lime juice with dashes of agave syrup. Fabulous! We also ordered some chips with salsa and guacamole to kick things off, which isn’t really necessary, but guacamole is always a good idea. The pork belly quesadilla ($12) was delicious — just the right amount of spiciness and a beautiful presentation. 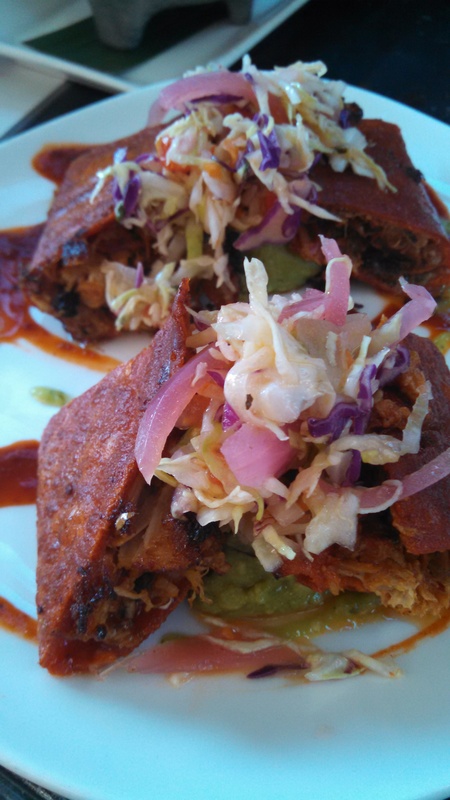 It is served in four pieces on top of guacamole and filled with pork, cheeses, shaved cabbage, pickled onion and salsa. 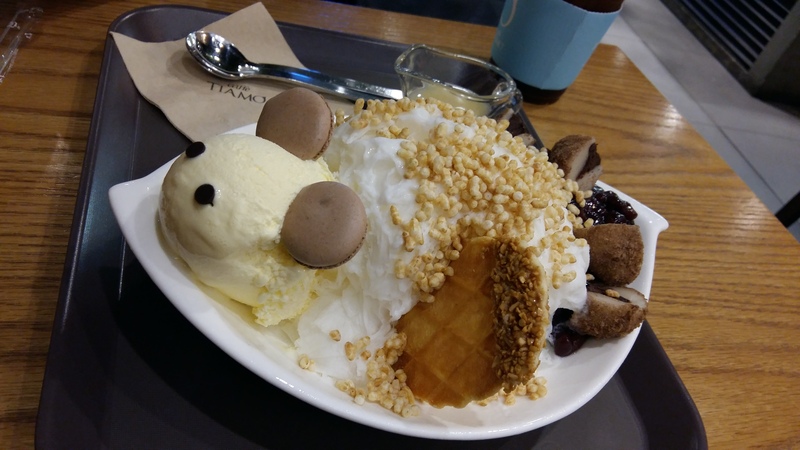 Although it’s a small plate, it’s quite filling, and every bite is filled with the perfect combination of flavors. Also tasted the Huarache de Hongos ($15), which was also amazing. It’s a flatbread topped with mushrooms, oaxacan black beans, cheeses, salsa, white truffle oil and avocado. The taste of the truffle oil and mushrooms is strong and rich, and the creamy cheeses and avocado just make it completely delectable. 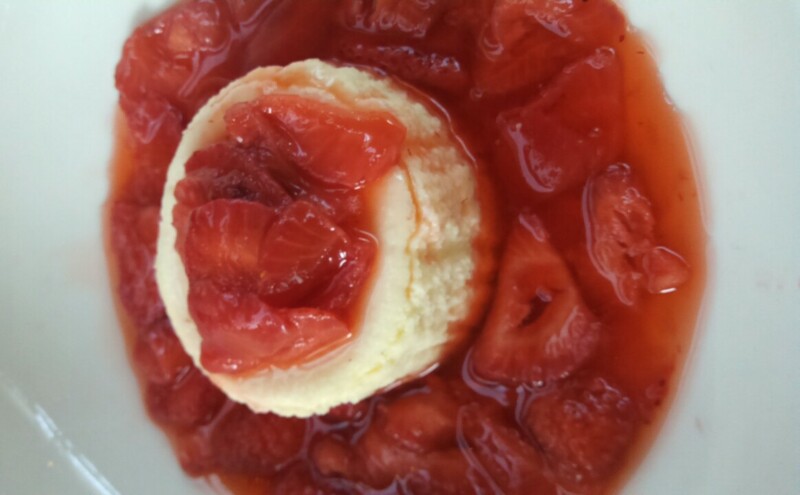 I loved the vanilla bean cheesecake ($9) with hazelnut crust that was smothered in fresh strawberries. 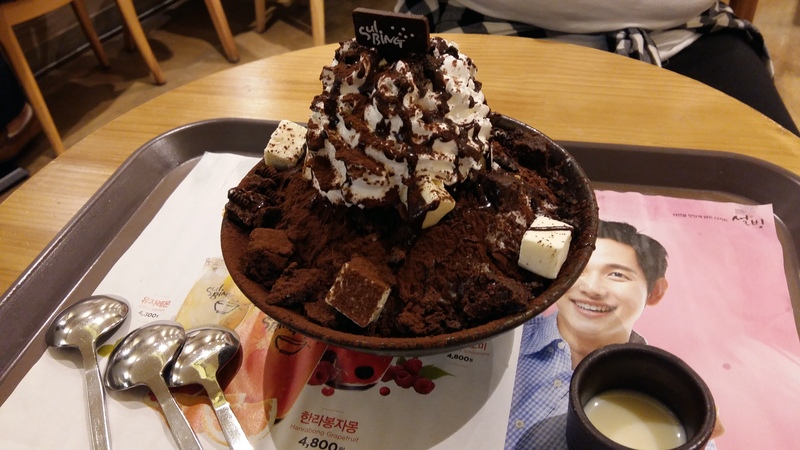 It’s a small portion, but that makes it easier to try all of the desserts on the menu and still be able to leave the restaurant without exploding. The chocolate caramel semifreddo ($10) is frozen chocolate mousse with salted peanut brittle ice cream in the center, and it tastes just like a fancy Snickers ice cream. Also, be sure to ask about the signature dessert specials because our favorite dessert of the night was the caramel apple empanada with ice cream on top. Altogether, Cielito will provide a sweet dining experience for your beachfront vacation. I ate pretty much everything there was to eat, and I would do it again. Excellent meal; would dine again. And I was serious about the good-looking waitstaff, too. Sup. This entry was posted in Food, Travel and tagged beach, california, caramel, cheesecake, Cielito Restaurant, cocktails, dessert, dining, food, margaritas, mexican, oaxacan, pork belly, quesadilla, restaurant review, restaurants, santa barbara, seafood, state street, tapas, tequila, travel, truffle oil on January 2, 2015 by screamfmlondon. 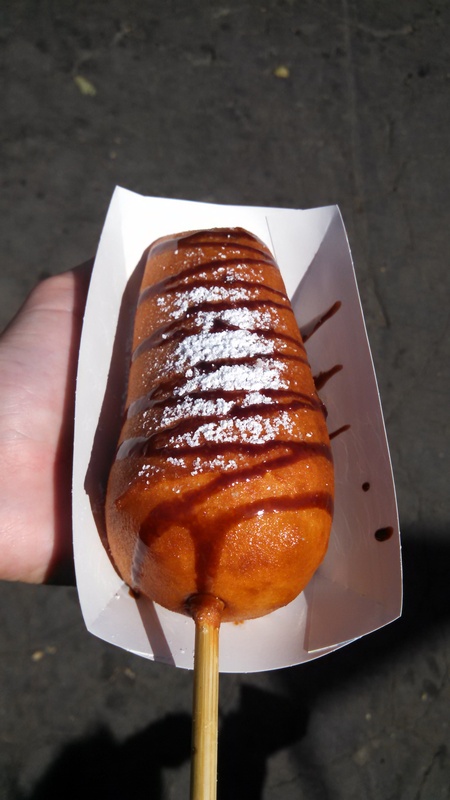 As promised, I did indeed make it to the Los Angeles County Fair to finish up my 2014 to-eat list of fried fair foods, as well as to check out Cher Lloyd and Neon Trees at the End of Summer Concert Series. The verdict: the LA County Fair is way cooler than the OC Fair. I immediately started by requesting a deep-fried cheesecake on a stick be made fresh. 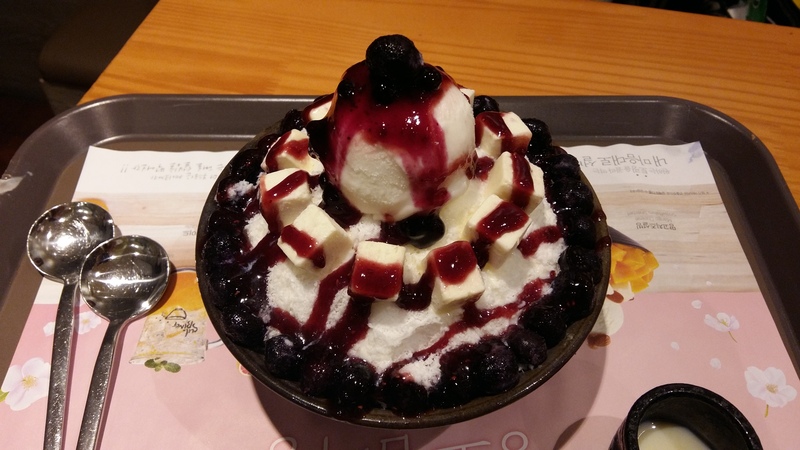 The cheesecake center was still cold from having been refrigerated, and it was wrapped in crispy deep-fried breading, sprinkled with powdered sugar and drizzled in chocolate syrup. It was everything I hoped it would be. Another item I checked off the list was an order of deep-fried chicken skins. What a time to be alive! We all know that the skin is the best part of fried chicken, so why not skip the middleman? These were the perfect blend of crispy and chewy with a hint of chicken flavor, highlighted by the greasiness of the deep-frying process. Finally, I insisted on trying the deep-fried frog legs just because. 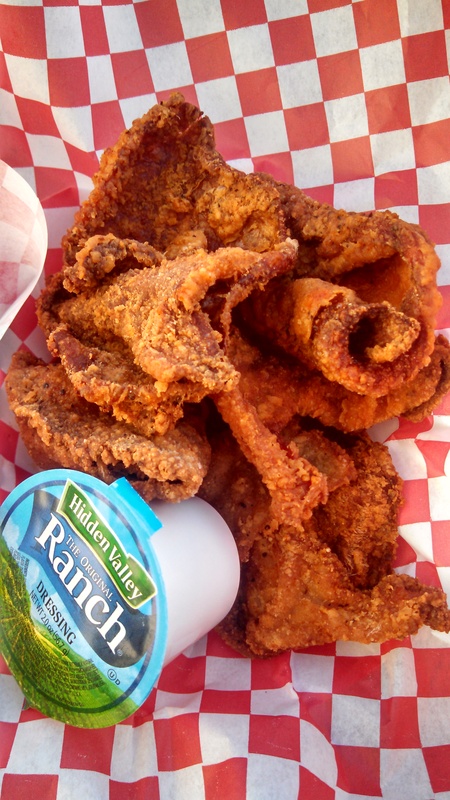 My theory was that people wouldn’t eat something so odd if it wasn’t delicious, and these turned out to be the best things I ordered at the fair. The presentation was a little disconcerting because it definitely looks like a frog sliced in half. But once you accept that, it’s not too different from eating chicken wings. 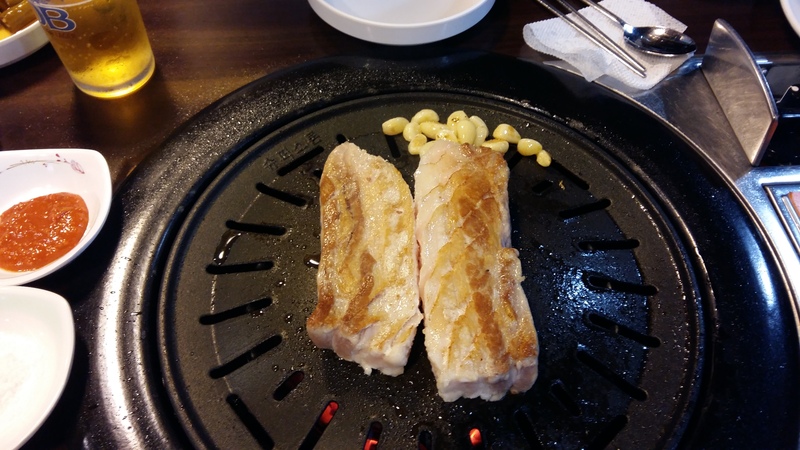 The consistency is very tender, similar to scallops. And they are juicy and tasty — kind of tasted like fried catfish. I loved them. The LA Fair is about three times the size of the OC Fair, and it’s a million times more fun. There are your run-of-the-mill fair sights (deep-fried foods, clearly rigged carnival games, rides, etc. ), but there are also a dozen specialized areas full of unique exhibitions. I spent a lot of time checking out the wilderness area, where they gave camping lessons, allowed visitors in the fire lookout tower, and taught us about California history and westward expansion. Another great exhibit was the Hall of Heroes, an entire hall dedicated to science fiction (and a few real-life heroes, like firefighters), from Dr. Who and Batman to Thor and Harry Potter. 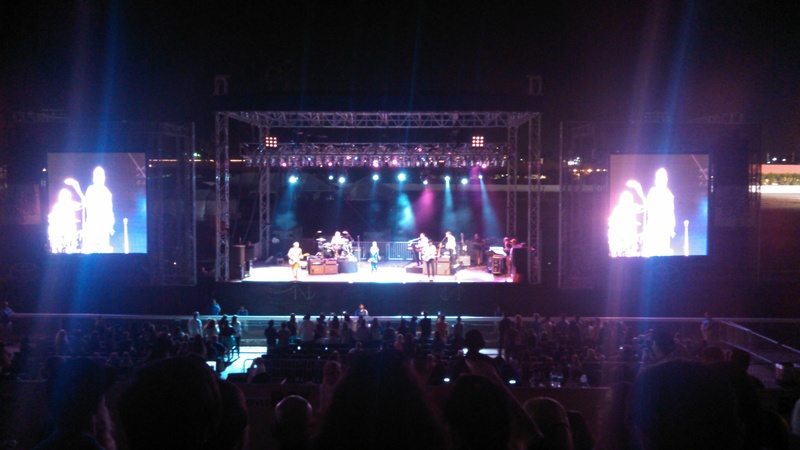 After dark, the grandstand was opened for the evening’s show: former “X Factor” contestant Cher Lloyd opened for pop-rock group Neon Trees of “Everybody Talks” fame. The sound was mixed terribly for the show. Lloyd’s backing vocals were way too loud, and the first couple of songs from her set were completely unintelligible. 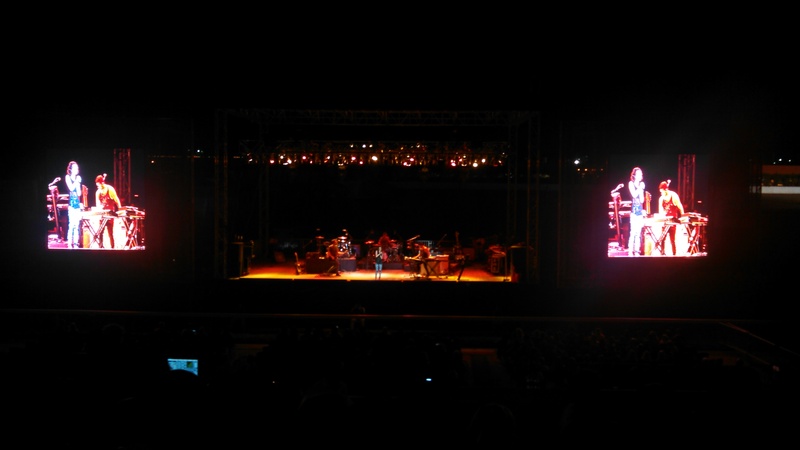 The stage was also set up in front of a very scenic large mound of dirt on the horse track. But I guess that’s what you get when you play the county fair. Lloyd was still adorable while playing her upbeat pop hits, “I Wish,” “Oath” and, my favorite, “Want U Back.” She seemed truly grateful to be playing, and asked the audience if we would be darlings and sing along to “With Ur Love.” So cute. Neon Trees took the stage in some flashy outfits: lead vocalist Tyler Glenn wore black sequined pants and a sparkling, fringe-covered jacket, both of which I want to own. The band has a couple of excellent, catchy songs (“Everybody Talks” and “Love in the 21st Century”), but a lot of filler tracks that were quite boring to sit through, exacerbated by the really uncomfortable benches we were sitting on. The concert tickets were obviously too expensive, since the majority of the audience sat in the stands and left the $100+ seating area near the front of the stage pretty empty. But it was still a great time, and I ended up staying at the fair from noon until after 10 p.m.
Basically, it doesn’t get much better than a day with fried food, comic books, wild animals, rock ‘n roll and a little history lesson. Well, for me, at least. This entry was posted in Food, live music, Los Angeles, Music and tagged batman, california, cheesecake, cher lloyd, chicken skin, concert, dr. who, end of summer concert series, everybody talks, fair food, fish, food, fried chicken, fried food, frog legs, hall of heroes, harry potter, i wish, la county fair, live music, los angeles, love in the 21st century, music, neon trees, oath, oc fair, pomona, pop, rock, The X Factor, thor, tyler glenn, want u back, with ur love on September 7, 2014 by screamfmlondon. This is the kind of person I am: I made a list beforehand of all the deep-fried foods I wanted to try at the Orange County Fair last weekend so I could efficiently and strategically eat as many as possible. And this is what I know to be true: everything in heaven is deep-fried. 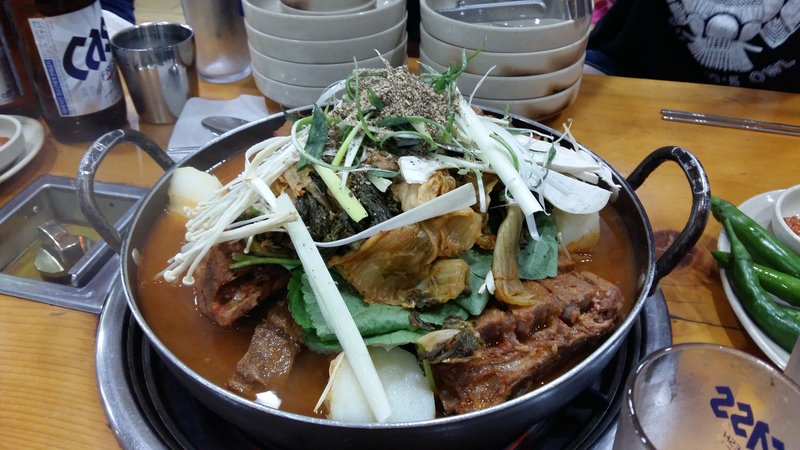 Below is my rundown of the best foods I snacked on and the ones I’ll have to tackle next time. I wanted to start the day with a cherry Pop Rocks donut from Texas Donuts, believe me, but I felt that it was unwise to eat that much fried dough and candy so early in the morning. It’s best to start off with a light meal to whet the appetite, I figured, so what could be lighter than Chicken Charlie’s deep-fried cookie dough? Such a good call. 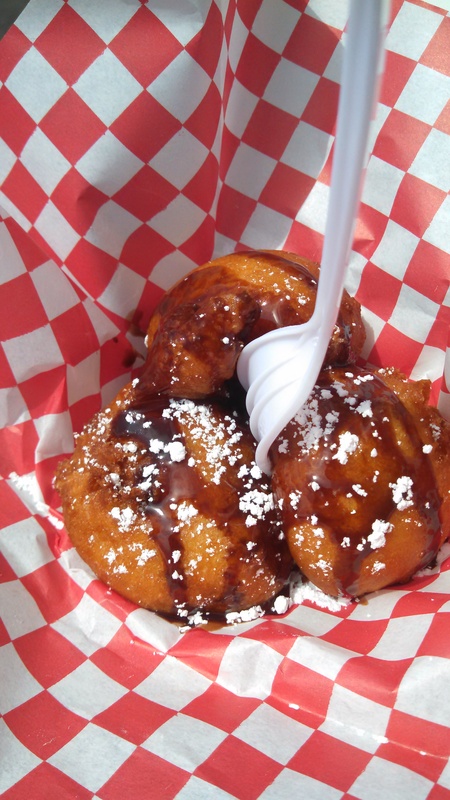 For $7.75, I walked away with three balls of moist, gooey chocolate chip cookie dough coated in a crispy deep-fried outer shell, drizzled with chocolate syrup and sprinkled with powdered sugar. Very chocolatey, and it would be cool if there were different cookie dough options (just imagine deep-fried peanut butter cookie dough with chocolate sauce on top! ), but this is definitely a valuable way to begin the fair eating experience. All my breakfasts should be so satisfying. Bacon-A-Fair offered up this treat with a side of whipped cream for $6.50, and it was not my thing. But I didn’t expect it to be. I am a vocal opponent of the savory-and-sweet combination in food, and I do not appreciate the trend of adding bacon to dessert. So, maybe I’m a traditionalist. Oh, well. These also weren’t served fresh, but I guess that’s to be expected on the last weekend of the fair. Still, I wouldn’t let this experience deter me. There were so many more deep-fried foodstuffs awaiting my arrival. After enough dessert, I needed something salty. I was ready for Chicken Charlie’s deep-fried Doritos. This was a new, must-try item at the fair this year. For $8.75, the basket of chips was served with a side of Ranch dressing for dipping. The frying process made the chips light and airy (kind of reminiscent of the Baked! Lay’s chips), but they lost a lot of the flavor in the process. 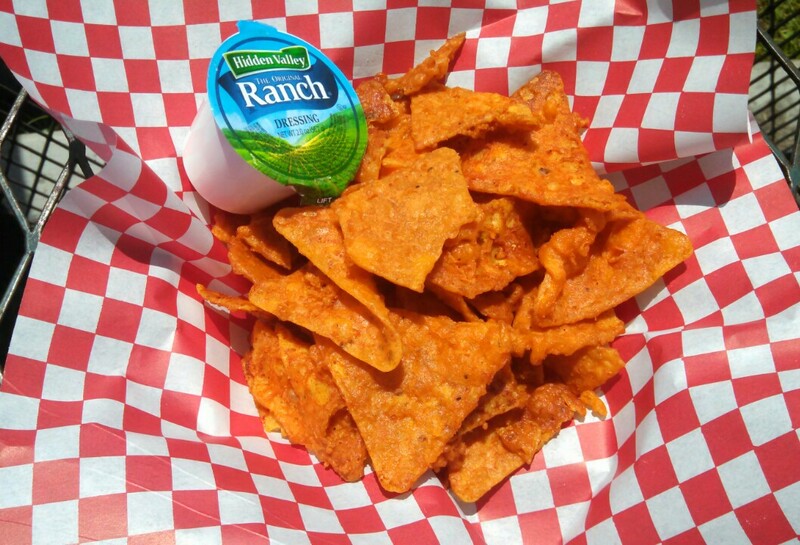 I don’t think Ranch was the way to go — these chips should be served with nacho cheese, and then they’d be perfect. By the time I reached Pineapple Express, I was also two margaritas in, and I wasn’t sure I could eat any more fried food. But I still picked up an order of deep-fried pineapple for $6.75, because I’m no quitter. 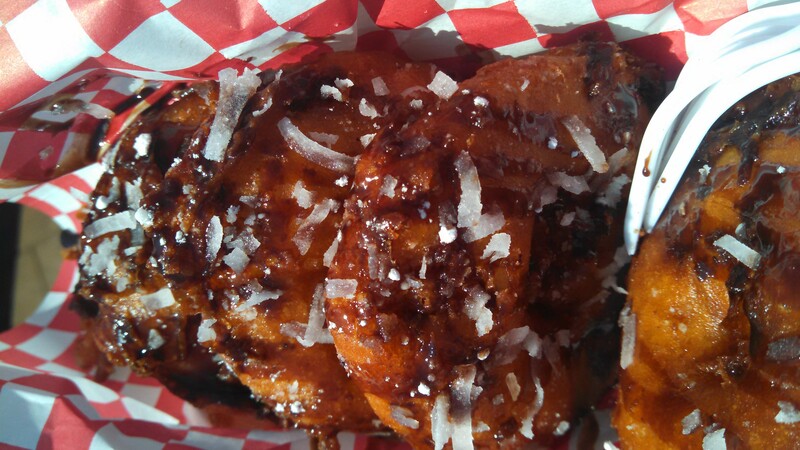 These fresh, juicy pineapple rings are battered and fried, then covered with chocolate syrup and coconut shavings. These were definitely my favorite OC Fair food item, and, look, I think everyone can agree that this is a very effective way to have a serving of fruit. Sadly, I will have to wait until the next fair to finish off the rest of the items on my list, including: deep-fried chicken skin, deep-fried cheeseburgers and deep-fried cheesecake on a stick. 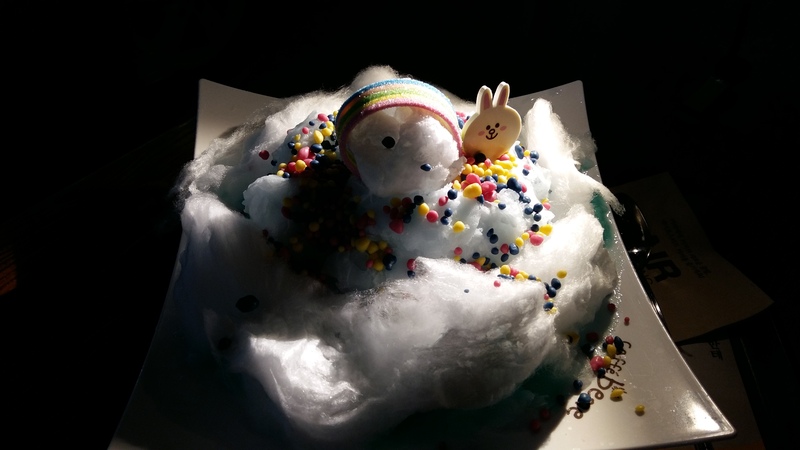 This entry was posted in Food, Los Angeles and tagged 2014, bacon, bacon-a-fair, baked! lay's, burgers, candy, cheesecake, chicken, chicken charlie's, chicken skin, churro, cookie dough, costa mesa, donuts, doritos, fair food, food, fried food, jack daniel's, margaritas, oc fair, orange county, orange county fair, pineapple, pineapple express, pop rocks, potato chips, texas donuts on August 12, 2014 by screamfmlondon.